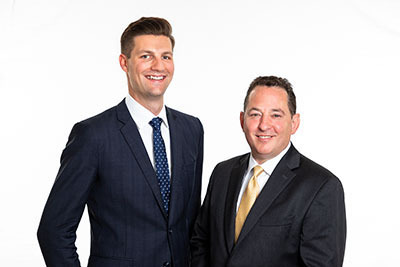 New York, NY According to Meridian Capital Group, Adam Hakim, senior managing director, James Murad, senior vice president, and Andrew Iadeluca, director, have joined the firm to focus on arranging financing for acquisition, construction and repositioning transactions. Hakim and Murad join Meridian after working together for six years at two prior firms. Iadeluca has been working with the team for the past several years as well, sourcing transaction volume on its behalf. During their careers, the team has closed $10 billion in transactions across all property types with a focus on construction, predevelopment, land loans and value-add reposition business plans. They have negotiated and closed complex transactions, including a $350 million construction loan for a condo tower at 126 Madison Ave. in NoMad; a $215 million construction loan for a condominium development located at 537 Greenwich St.; a $130 million construction loan for a five-building, 205-unit rental conversion located at 30 Morningside Dr.; and a $121 million construction loan for a 45-story, 526-key hotel development at 140 West 28th St.
“Despite an immensely competitive financing environment, Adam and James have built an extraordinary track record by delivering exceptional value to their clients across a variety of complex and highly nuanced transaction types. 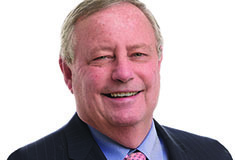 Their focus on client relationships and ability to outperform the market exemplify the qualities that have made Meridian the region’s leading debt capital markets firm,” said Yoni Goodman, who serves as president of Meridian’s investment sales division and has other management responsibilities across the firm.